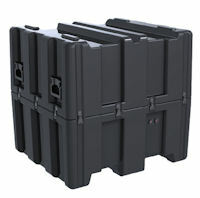 Apeiron can help you fullfill large orders at the lowest price. 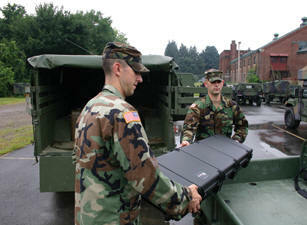 We work with Mohawk Global to ship pallet loads of the Pelican/Hardigg Roto Rugged "mil-spec" cases Worldwide. 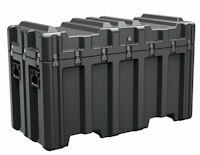 Pallet ready cases, forklift ready cases, remote area lighting, gun cases, stackable cases, and field desks. Tools & pink foam not included. Focused 10 deg. beam reaches 200 yds. 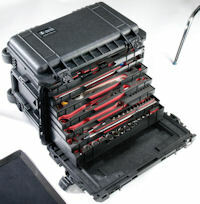 BLACKBOX™ RACK MOUNT CASE FEATURES: Engineered racks provide a secure and mobile electronics enclosure. The most innovative RALS unit to date, the 9440 moves fast to light up ravines, confined spaces, riverbanks... anyplace generator lights can’t go. Deployed, the mast extends 7 feet high, shining light over low obstructions encountered by traditional lantern style lights. 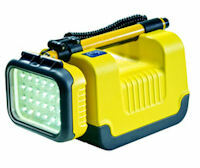 With a 120 degree beam spread and up to 2400 lumens, the entire emergency area will have the light you need for a safe and swift operation. The 9440 is maintenance free, using super tough LED lamp modules and NiMH batteries for up to 6 hours of continuous light. 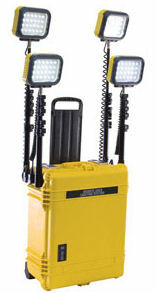 Using solid-state mounted LED's coupled with a thermally efficient light engine and our 1510 Pelican Protector™ Case, the RALS 9460 gives the user the ultimate maintenance free portable floodlight station to get the job done efficiently, safely and on time. The RALS 9460 houses two of it's light heads and it's multi-stage charger for that total self contained convenience, it is also equipped with a telescopic handle and rugged wheels for ease of transport. Comes with convenient low battery warning system and waterproof activation switch. 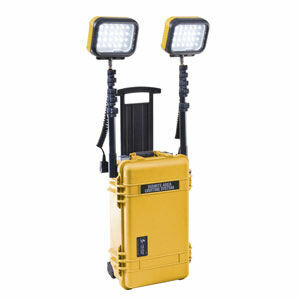 Using solid-state mounted LED's coupled with a thermally efficient light engine and our 1610 Pelican Protector™ Case, the RALS 9470 gives the user the ultimate maintenance free portable floodlight station to get the job done efficiently, safely and on time. The RALS 9470 houses all four of it's light heads and it's multi-stage charger for that total self contained convenience, it is also equipped with a telescopic handle and rugged wheels for ease of transport.